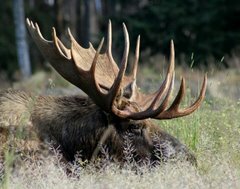 Moose Tracks: Russian Hacking, Is It A "Slam Dunk"? As a conservative, watching the weathervane of the MSM turn is one of the most enjoyable things about the shift of power. The CIA, the foolish agency that called WMD in Iraq a "Slam Dunk" suddenly has revived it's credibility with the media! Wonders truly never cease. And yet another old practice has been revived -- leaking! In order to believe this headline report, you first have to believe the words and spin of the opposition senators that decided to violate their oaths to keep the information they were briefed on secret, as well as buying into their spin on the leaks they were sworn not to make. Why, just a couple months ago, "leaks" about Hillary were tantamount to "treason", but already they are important and likely "patriotic" in anticipation of Trump taking office! This is a good story angle for the Democrats -- their policies, their attitude, their name calling are NOT to blame! 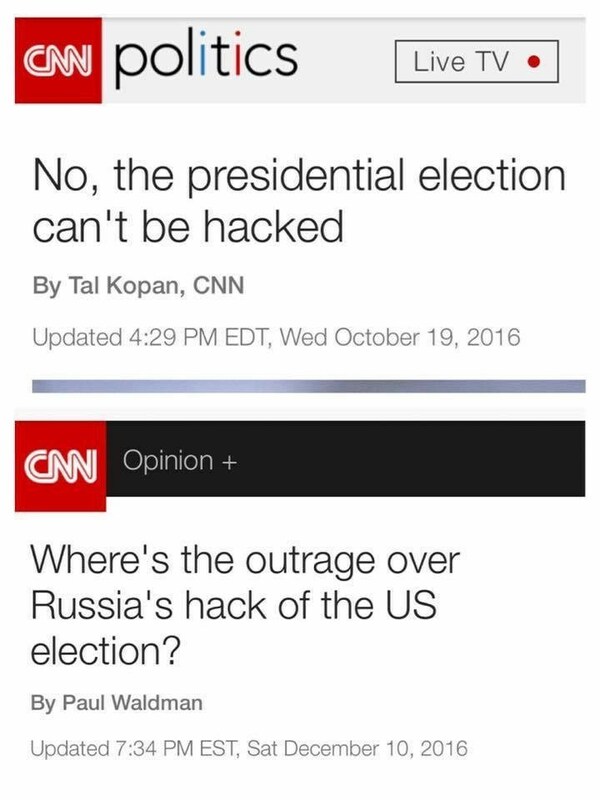 They don't need to change ANYTHING ... those damned Russians rigged the election!! As far as that goes, fine with me ... better they focus on anything but making changes that will allow them to win! However. To me, the interesting question here is what actually may be going on. Those of us that follow conservative media know that the White House was supposedly hacked in the fall of 2014 just before the mid-term election, ostensively by the Russians. There is no such thing as "unhackable"
The Russians, Chinese and who knows who else are likely MILES ahead of us (covered in link) on hacking technology -- so pretty much anything IS to some degree vulnderable. Trust nobody -- certainly not Trump, BO, Democrats, Republicans, the NSA, etc ... BOistan is lawless. We deciced to go that way for sure once we started killing babies in their mother's wombs -- it just went downhill from there, and we are way downhill. No rules always means NO RULES, people just have a hard time understanding that for some reason. BEFORE the election, it was "crazy talk" to mention that the election might be "rigged" -- now it is crazy talk to NOT look into it being rigged. At least this is something that we DO understand intimately -- "The Party" (TP-D) is still in as much control as a corrupt political party in a declining nation can be -- pretty much like the old communist party in the USSR circa '70s-'80s. All the alphabet agencies are the real power in BOistan, and they are still FIRMLY in the hands of TP and will be unless Trump can do a MAJOR "Scott Walker" on them -- which is going to be HARD. So, I have to assume that the CIA was fully in TP control in '93 and now -- "their spin" is TP spin, which TP assumes to be beneficial to their power. My guess is that they knew post 9-11 that W would have no choice but to invade Iraq if the CIA assessment was a "slam dunk" on WMD. As now even WaPo is willing to report, the ferocity of the W counterattack left the terrorists spinning -- but not TP. The CIA essentially "forced" us into Iraq with it's assessment. Was "Slam Dunk" a black op to defeat W? W is enough of a Boy Scout to assume that post 9-11, the CIA really cared more about America than TP politics -- NEVER trust ANYONE! 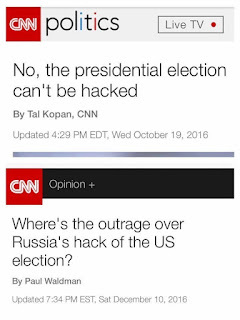 Anybody that cared about "the good of the nation", would look into potential hacking before an election rather than after it. What the hell are they going to do if there WAS hacking? Have a "do over"? We investigate security threats on the president BEFORE they are carried out, not AFTER the president is dead! ... at least we try to. One possibility is that Trump knew the election was rigged, as did BO ... but Trump ALSO knew that the Russians had found a way to "outrig the riggers", or potentially (and this would REALLY be sweet), just "disable the rigging" -- making it very likely he would win. If BO wanted to take his warning BEFORE the election and look into it, then BO would know as well that the "rigging was off" -- but it would still be off, win, win for Trump. If Trump won but the removal of the rigging was undiscovered, then Trump could do what he wanted. Either bring it to light, or not -- no sane person would assume that TP would come out AFTER the election and say "we now think it was rigged, after we told you it definitely was not -- trust us". **IF** there is any real information at all, it was known before the election and BO was confident that things were rigged in TP's favor. In any case, looking into it NOW is insane! ... but since BOistan is an insane place, that is what is happening. The cost of the '93 CIA "Slam Dunk" was a gigantic loss of face for the agency, and because of the way it was handled for the entire US government as well. Yes, I understand that TP made a calculated move to take the WH in '04, and they didn't mind that the collateral damage included a vast loss of faith in US intelligence, military, and especially the presidency. They assumed that with their media superiority they could lay that entirely on the Republican party and the sheeple would bleat along. It turned out that their media wasn't THAT powerful. So post 2016 election, they are now doubling down HARD on destroying faith another institution, this time elections (they dabbled in that from 2K-2004 as well ... "Diebold") This looks especially strange because in October, they were the ones declaring that there were NO ISSUES with the election and that "voter fraud did not exist". Just for good measure, anyone that claimed there might be a problem was "insane, trying to foment violence, unpatriotic, etc, etc". The worm has clearly turned, NEVER believe ANYTHING that TP is spouting!